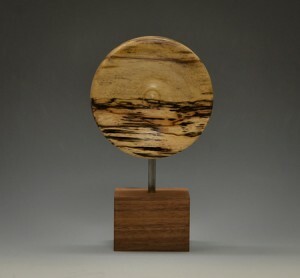 This month Curtis is turning mini disks in his woodturning shop, and he writes about it in his monthly column in July’s issue of The Highland Woodturner. This project is an excellent way to take a break from turning the same old pens and bowls. CLICK HERE to read how Curtis turns a miniature vase.